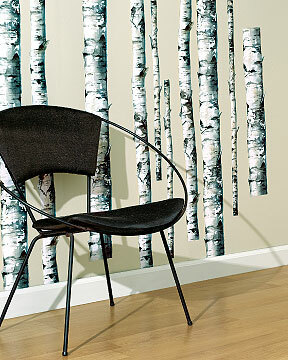 Here's an affordable (and less permanent) alternative to the lovely "Woods" wallpaper from Cole & Sons that I've been lusting after forever: The Birch Trees mural from Wallies. 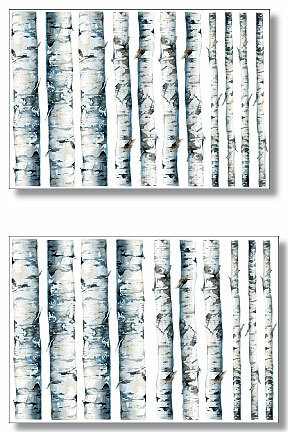 Just $40 will buy two sheets' worth of the decals shown above, which measure more than four feet tall when the birch trunks are placed end on end. I'd get two sets and go all the way to the ceiling, or even four sets and do the entire wall. Plus, you just peel 'em off and stick 'em up -- way less complicated than installing wallpaper. Check out Wallies' Birch Trees right here. these would be awesome on the doors of an armoire too. at first i was thinking a white one, but think of how they'd pop on a black one! 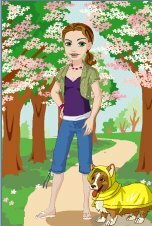 Wow - these are so great! Love it! I could see them on a small wall in a study or bedroom.